Europe is expected to have the largest share in the Dosing Systems Industry during the forecast period. It is expected to reach $2036.2 million by 2023 at a CAGR of 3.10%. North America will experience a growth of $1,934 million by 2023 at a CAGR of 3.6%. Asia Pacific is expected to have the highest growth due to the increasing needs of water and wastewater treatment industries. The need for clean drinking water in Asia Pacific also spurs the need for dosing systems. The countries in the Middle East will have more demand for dosing systems in water treatment as increasing demand for clean drinking water is observed in the region. The water treatment segment is expected to experience the largest growth in the Dosing Systems Industry during the forecast period. It is expected to have a growth of $2351.9 million at a CAGR of 5.9% by 2023. This is due to the growing demand for water treatment in the Asia Pacific. Power generation is the second largest segment and will reach $1636.4 million by 2023 at a CAGR of 4.2%. Water treatment is an industrial process which makes contaminated water suitable for various purposes such as drinking, industrial use, agriculture, medicine. The water contaminants are removed or the concentration of the contaminants is reduced to make it safe for use. Different processes such as settling and filtration and chemical processes such as disinfection and coagulation are used for water treatment. 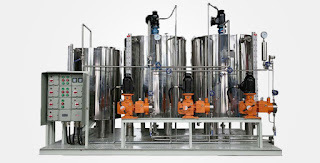 • The recent developments in the dosing systems have led to the production of automated solutions of low cost. They reduce human interference and provide an accurate injection of chemicals during the dosing process. This factor drives the Dosing Systems Industry. • An increasing need for drinking water and wastewater treatment enhances the growth of dosing systems in the Asia Pacific. • The growth of the oil & gas and energy industry will enhance the growth of the Dosing Systems Industry. Lewa GmbH, NETZSCH and Prominent Group. IDEX Corporation is specialized in highly engineered fluidics systems and components along with fire and safety products. Grundfos is an advanced pump solutions provider in water technology. Pumps for air conditioning, ventilation and heating are also provided by Grundfos. Lewa GmbH meets the end users’ needs for support in the design phase of system engineering and handling of fluids. NETZSCH makes positive displacement pumps worldwide. These pumps are used in oil & gas and mining industry. Prominent Group makes components and systems for fluid handling and water treatment. 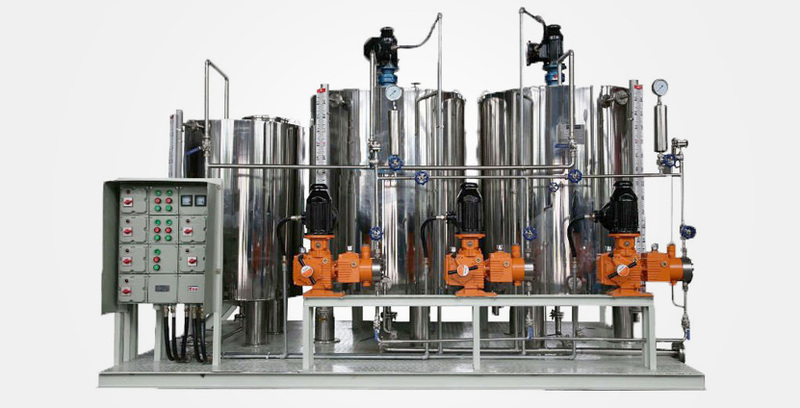 Growing end-user industries such as oil & gas, power generation, and chemical processing drive the Dosing Systems Market.